A mighty consensus is brewing in Brussels that even if a last-minute deal is struck with Greece it is not going to solve neither its problems, nor the Eurozone problems with Greek origin. 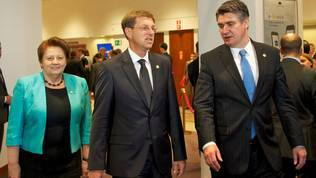 While numerous Eurogroup meetings and the leaders’ summits continue, the feeling that more than a deal is needed is growing. Guy Verhofstadt, leader of the Liberals group, fourth largest in the European Parliament, said during a debate in Brussels on Wednesday that even if an agreement on Greece was reached this week it would only be a temporary one. In a few months new negotiations for a next bailout package will have to start. This opinion is shared by the leader of the third largest group, Syed Kamall, who thinks a possible deal would only prolong the suffering. European Parliament President Martin Schulz joined the similarly inclined group by stating after participating in the summit that even if a solution was found today more work with Greece was necessary to ensure its sustainable future. There is also a growing feeling within the Council that striking a deal will not be the end. Maltese Minister of Finance Edward Scicluna said that what Greece needed was to regain the trust of creditors and investors. Something that is not going to happen by striking the next deal, he added. Many of the Eurogroup ministers are of the opinion that too much money have been spent on meetings and negotiations with no visible result. The most blunt in this respect was Finnish Minister of Finance Alexander Stubb. There is marked discontent among the leaders as well, especially the ones of newer and poorer member states. It is usually Lithuanian president Dalia Grybauskaitė that leads the critics, urging Greece for a while now to start working seriously on reforms and quit asking for money. Before the emergency Eurozone summit on Monday she stated that many of the member countries have passed through heavy crises, some with outside help, some on their own. Lithuania for example survived a 12% consolidation and is doing well now. Bulgarian Prime Minister Boyko Borisov could not hide his aggravation after the EPP meeting in Brussels in saying that hours of valuable time were wasted for everybody dealing with the same issues. There is nothing new to hear, apart from needing “more, and more, and more” money. Many countries have problems, but there is no time to address them because the agenda is occupied by Greece all night long, he grumbled. The people in other countries want higher wages and pensions as well but there is no money to give. Moreover, added Mr Borisov, some countries are poorer than Greece. 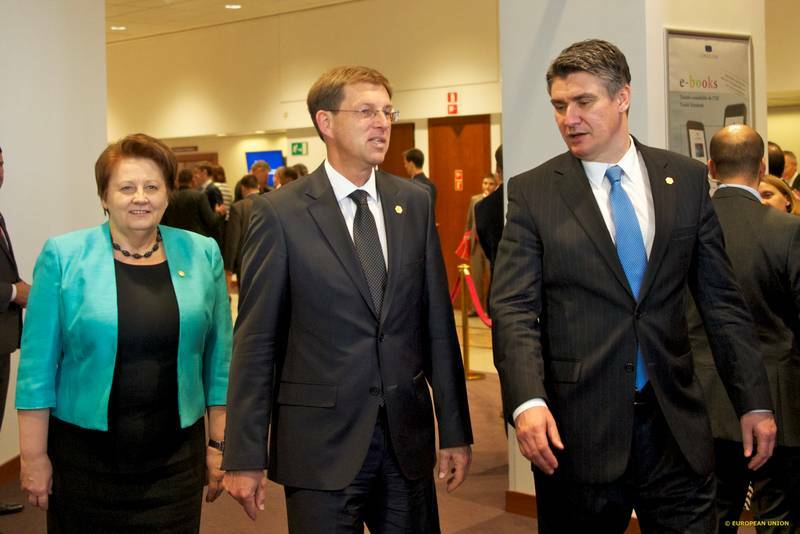 Croatian Prime Minister Zoran Milanović showed a full-fledged loss of temper. “The situation with Greece has gone on for too long. This must end”, was his laconic comment upon entering the summit. 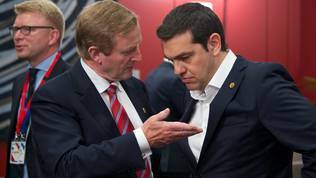 Irish Prime Minister Enda Kenny reminded that Ireland abstained from raising taxes and instead offered alternatives to answer the Troika demands, thus hinting Greece is expected to do the same. He vowed to share Ireland’s experience on dealing with the crisis one more time tonight. When asked by euinside whether this aggravation poses a risk for starting a new division within the EU European Parliament boss Martin Schulz said that he could understand why people were disgruntled and disappointed. He shared that every day he hears “enough is enough” from people in the streets. Politicians however should not react prematurely and create long-term consequences. 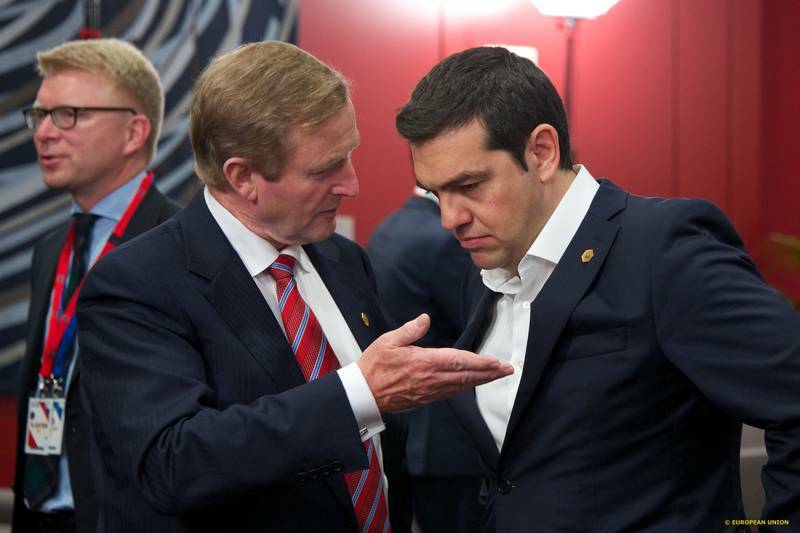 He thinks the Greek Prime Minister is fully aware of the gravity of the situation. 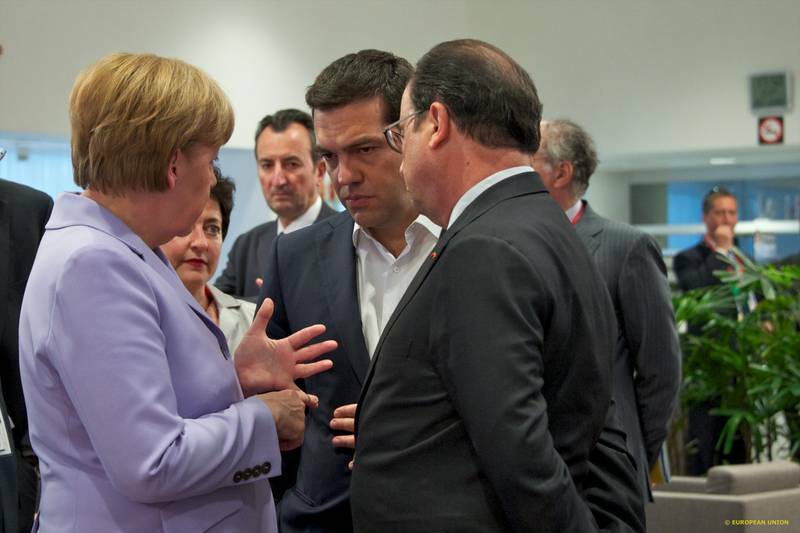 Alexis Tsipras however radiated the opposite mood. He arrived smiling at the Council building in Brussels and even made jokes with the journalists. He reminded that European history was full of disagreements, negotiations, and ultimately compromises, and voiced his certainty that at the end a compromise will be arrived at to help overcome the crisis. 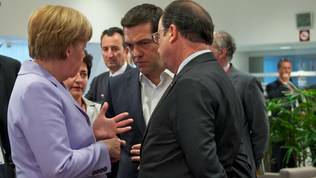 It is not clear however whether he realizes that such a deal would not solve Greece’s long-term problems. Short-term neither, come to think of it.